The medical fraternity is increasingly turning towards digital signage solutions at the work place/ clinic, with the immediate use of educating their patients about various illnesses and conditions. With waiting times at doctors' clinics varying from anywhere between 10 minutes and 2 hours; doPublicity's digital signage's make for interesting viewing at the clinic, when uploaded with suitable content. Also, the digital signage's allow for drug manufacturers to advertise some of their products right at the clinic. The dream home is something that always seems to be what's shown on TV. A digital signage display from doPublicity is the perfect scheduling and playing option to display and highlight past creations and projects – in the most perfect visually appealing manner. 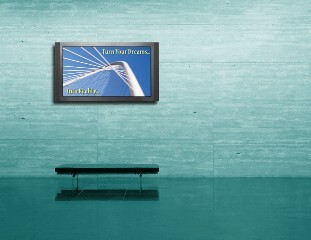 Digital signage's would be able to provide a walkthrough of a project even before the consultant meets with the client.